Home » Puppy Playthings » All Playthings » Simply Fido Beginnings Lolly Lamb 4"
Beginnings 4" plush Lolly Lamb comes in pink and white with a squeaker in his belly. These cuddly buddies are irresistibly cute and oh-so soft. Lolly is made from eco-friendly organic bamboo cotton and is very durable. This means you can feel safe to wash Lolly without fear of damage. 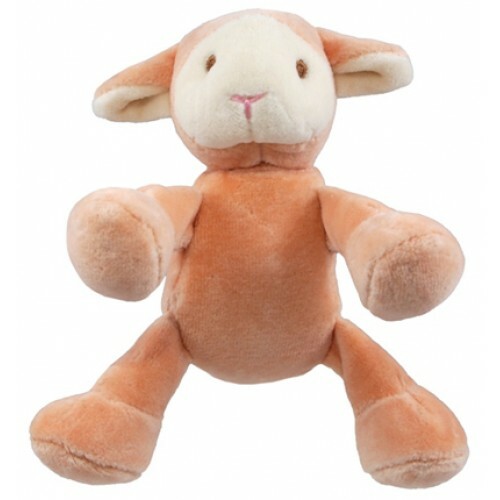 Beginnings Lolly Lamb is a perfect plaything to please your new puppy or little pup.